The social industry should be ashamed of itself: Failed promise. Failed mission. #Fail. We must save ourselves — now. Here’s what I mean. Three years ago, while I was still at salesforce.com, CEO Marc Benioff wrote “The Facebook Imperative.” It was a manifesto that urged enterprises to tap into the power of social media so that employees could more easily collaborate and share information across departments. That such collaboration creates a hive of enterprise productivity focused on customer needs — driving sales. That single manifesto brilliantly encapsulated just how social media could transform business. Benioff’s premise resonated with the industry — and kick-started the second generation of social media. No longer purely a medium for self-expression, it has become the predominant marketing channel. In the years since Benioff wrote his manifesto, enterprises have become obsessed with connecting with customers via Facebook, Twitter or other social media, as they then monitor sentiment and measure effectiveness. As head of Salesforce’s social media efforts and strategy, I helped build Marc Benioff’s social imperative. In my role, I applauded forward-thinking companies that set up and staffed “command centers” so they could monitor and respond to comments they spotted about their brands. I helped customers harness social media as new marketing and ad channels. And I cheered as social media became integral to enterprise marketing. And then things got ugly, as marketers went extreme. I hate to say it, but the social-business industry has pushed crass commercialism to new levels aimed at getting customers to LIKE us, LOVE us and, above all, BUY from us. And I went along with it. When I founded Addvocate, I described it in marketing terms: Terms like “empower employees to be brand advocates” (or sometimes: “brand amplifiers”). Those phrases made me uneasy, but I couldn’t put my finger on why. And then it hit me: By adopting marketers’ mindset, I inadvertently implied that employees are tools for brands to wield on their behalf. I blame myself for not emphasizing what I always knew: Social media’s true utility — its fundamental reason for existence — is for building genuine connections. That’s because social media is best used as a conduit for information, sentiment, support and insight from anywhere within a company out to its customers — practically at the speed of thought. Yes, social enables enterprises to know what their customers are thinking and saying about them. But it also allows anyone — anywhere within the organization —to step in and answer customers’ questions and solve their problems. Equally important, social media can relay that interaction to customer service, alert R&D to product flaws, and inform the marketing folks of a potential problem to address. Forget about hammering customers with corporate messages and ads. Studies prove that people trust others just like themselves. Consider: When Nielsen asked consumers which form of advertising they trust, 84 percent said they trust recommendations from people they know, and 68 percent said they believed opinions posted online. It’s also interesting to see just who, inside a company, those consumers believe. The latest TrustBarometer from Edelman, for example, found that consumers trust a company’s rank and file workers — especially people with technical expertise — more than they trust top executives. Think about what it would mean when business processes run on top of social. Everything will change. People will become less self-involved because they know — and care — about their customers’ experiences. And that will create a culture of empathy that encourages everyone throughout the organization to connect with customers, contribute comments, solve problems, and safeguard the reputation of the enterprise. People would behave differently. 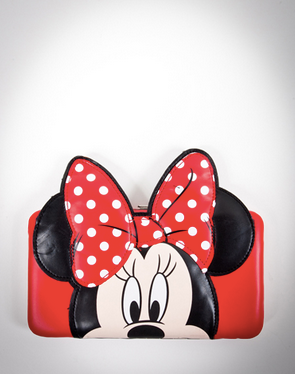 A family took their 6-year-old daughter to Disneyland where she bought a Minnie Mouse wallet. A few rides in, she started crying when she realized she’d lost her wallet. Naturally, the parents made a show of looking for it, but they all knew the chances of finding it were slim. A Disney employee took notice and came over to ask what the wallet looked like. “It’s red and has Minnie Mouse on the cover,” she said. “I think I know where it is,” he said, leading the family to the gift shop, where he pulled a wallet from the counter and gave it to the little girl. You can imagine how impressed the parents must have been — and not just because of the overt act of kindness. Disney had empowered its employees to go the extra mile for its customers. That’s the culture of empathy I’m talking about. This goes way beyond getting your employees to Tweet for you. You need to give them the full support of the brand, and empower them to turn their empathy into social actions on behalf of your customers. Few companies already have this culture. But I’m convinced enterprise-wide empathy with the customer is critical for establishing authentic, meaningful lines of communication. With it, companies can truly humanize all customer interactions, influence customer sentiment, improve products and burnish (or even salvage) a brand’s reputation. And that’s why I founded Addvocate. I believe people want to talk to others like themselves — not to some company’s logo. Our platform enables people across the organization to opt in and use their own social networks to offer advice, solve problems and become the human face of their brands. Notice I said “people,” who are every company’s greatest assets. Our customers, investors, and market influencers tell me I have it right. Isn’t it time we reclaimed social media’s true mission of building genuine connections? People are not tools to be wielded for crass commercialization. Companies need to think about, and simplify, how their greatest assets can reach out to customers. Connect them. Give them an outlet for goodwill and customer rapport. Empower everyone throughout the entire organization to react and respond to their best impulses. This is our next cultural imperative: Putting human empathy at the core of every customer interaction, and at any level of communication. We are not tools, so stop treating us as if we were. Empower us to build relationships, and to thrive on those connections. That is, after all, what humans do best. And if that doesn’t translate into customer trust and loyalty, nothing will.